Deeper life and faith as seen through the lens of Richard Rohr's essays, What the Mystics Know explores several paths to a deeper self-understanding. Organized according to the mystical paths that every worshiper must follow, Rohr identifies the despair of everyday life, promotes opportunities for change even in the face of pain, and encourages transforming one's deeper self into a beacon of light that aids in the metamorphosis of others. Illuminating these insights with reflections on Christian and Jewish scriptures while citing the greatest religious writers throughout the ages, Rohr offers an unparalleled window into the wisdom of the mystics in this succinct volume that represents the best of his vast library of writing. What the Mystics Know by Richard Rohr was published by Crossroad Publishing Company in April 2019 and is our 1175th best seller. 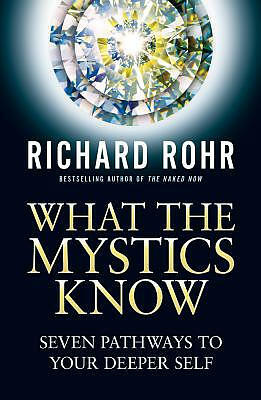 The ISBN for What the Mystics Know is 9780824599652. Be the first to review What the Mystics Know! Got a question? No problem! Just click here to ask us about What the Mystics Know.